The online service marketplace is booming in this fast moving world where people don’t have much time to find professionals for their daily chores. This exclusive kind of online service marketplace helps them to swiftly find suitable service providers for completing their various services like automobiles, home services, commercial cleaning and much more. 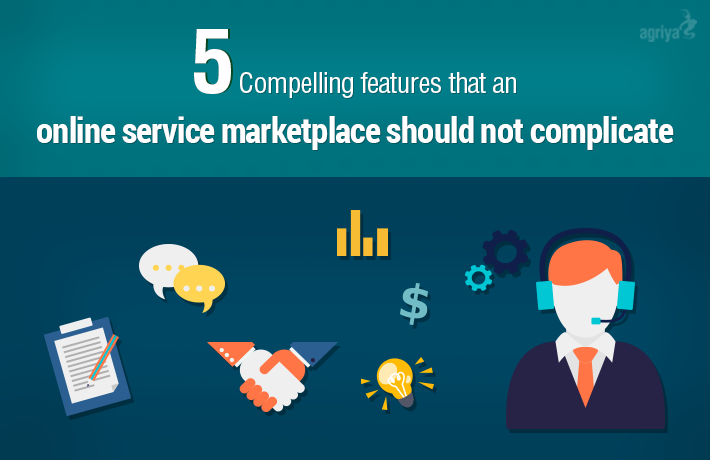 Every entrepreneur who aspires to enter this flourishing marketplace has to look after 5 captivating aspects that must be in their online service marketplace business. Make use of following technologies based facilities for successfully running a thumbtack like a website. The service listing is a main and core aspect which determines the success of your service marketplace site. When the listing of service is genuine, the users will opt for the service. This service listing speaks about the trustworthiness of your website. Thus, make sure to double check and verify the services before it is listed on your website. Give 100% authentication about the listed services on your website to enhance and boost the site traffic tremendously. Normally opting services like getting refrigerators repaired, fixing up the electric & pipelines, opting for the babysitter and having party planners are done within a certain region of the service seekers. So, location based service listing is very much important. It takes your service marketplace to a greater height. By implementing Google map integration, the users can view the service based on the nearby location. The communication gap in a service marketplace business will lead to loss of business. So include distinct and needed communication channels for helping the service seekers and providers to converse their viewpoint. It also improves the relationship between the site users. It ultimately reflects on your site performance. Be cautious about framing an exclusive set of communication channels to create a user-friendly business environment for the site users and as well to you. The successful running of service marketplace can also depend on reviews availed by the site users. Apart from the feedback, the users can also rate the service which will be helpful for the future users as well. All the feedback and ratings ultimately increase the sales and in turn, bring in more users to site. On the whole, service providers gain more new users and retain many loyal users. On the other side, users can get excellent service to their need immensely. Payment is a crucial factor to be considered for maintaining efficient functioning of your service marketplace. Bring about convenient payment options that assist service seekers in making their payment at ease. Make your online service marketplace rich in payment facilities. It will ease the burden of the both the service seekers and professional to pay their respective payments. As the market is growing up, be quick in entering this industry in the best possible time. For achieving a big position in the service marketplace, take the help of superior thumbtack clone script providing company like Agriya. The script from this concern is readily built with all these interesting factors for the successful running of your service marketplace business. Get started this service marketplace site with niche specific. You also do give importance to all 5 inclusive facilities which can bring more business to your service marketplace.